It’s the people that make life at SLV so rich. 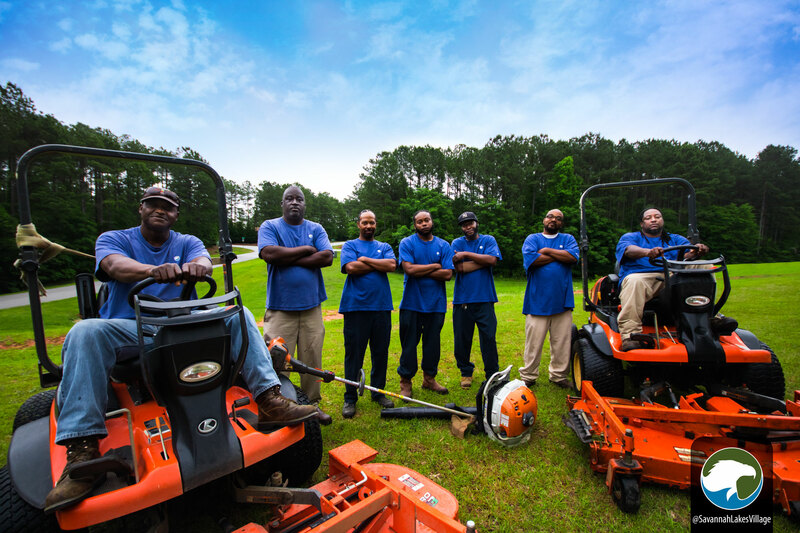 Meet the Grounds Crew and Right-of-Way Mowing team! We have approximately 80 miles of roads throughout SLV (160 miles of shoulder!). If you have ever wondered who keeps all of those rights-of-way areas (including Highway 7 and Highway 378) and all of the facilities looking great, then look no further. From left to right, the names of these gentlemen are Bobby Joe Barksdale, Johnny Williams, Chris Leverette, Thaddus Simmons, Larry Key, Travis Jennings, and Fred Morgan. Each one of these guys takes pride in their work and it most definitely shows. You guys make SLV the place to be. Keep up the great work!! Give the guys a shout out from me!